SkyGels are developed and designed in Germany. Mounts inside on existing screws of lugs, spurs or other brackets. are for a precise dampening of overtones on drums, cymbals and almost all percussion instruments. 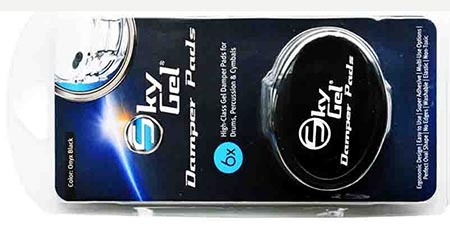 Due to a specifically developed gel formula and its ergonomic, oval shape, SkyGel® Damper Pads offer the perfect damping, optimal adhesion can be placed at the same time close to the rim of the drum. Extremely durable, washable, flexible and easy to use. SkyGel Damper Pads meet all the requirements of the discerning drummer and percussionist.